British travel company Thomas Cook Group said its annual profit would come in at the lower end of expectations after hot summer weather in Europe affected late holiday bookings. Thomas Cook makes all its profit in the summer when its customers in northern Europe such as Britain, Germany and Scandinavia go on holiday, primarily in southern European destinations such as Spain, Turkey and Greece. But northern Europe has experienced warmer than average weather over the summer so far, affecting late bookings. Thomas Cook said that full-year underlying operating profit would now be at the lower end of market expectations. The downgraded outlook comes after the company was reported by a British newspaper to be considering splitting off its airline and selling a stake to an outside investor to reduce debt. The company runs both a tour operator business and an airline, and said in its third quarter statement that a strong performance from its airline, especially in Germany, had helped to offset the impact of a warm summer. "The sustained period of hot weather in June and July has led to a delay in customer bookings in the tour operator, restricting our ability to drive margins in the 'lates' market," Thomas Cook said in a statement. 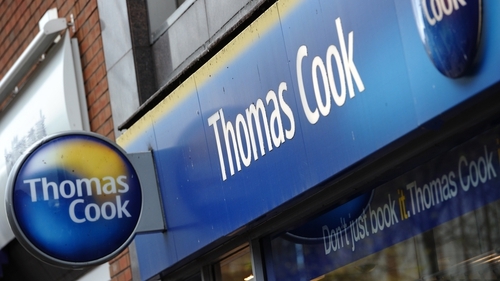 Thomas Cook had guided in May that it was on track to meet analysts' expectations of a 7% rise in its post-operating profit to £352 million for the 12 months to 30 September, on a constant currency basis.